Five simple steps you should take to make sure your Pitbull is not aggressive. There is a lot of poor information out there. Today I read an article on how to use a pack of “bloodthirsty” Pit bulls to guard your property. Websites like DogsBite.org blame all dog on human violence on this breed and list all of the incidences of Pitbull attacks and human deaths each year in the United States. In 2014 they report that almost 64% of fatal dog bites were because of Pit bulls, or at least by dogs identified as Pit bulls. All that info, so much _____! No matter how many Pitbull fans out there try to state the truth about these dogs, there are always going to be detractors. Why is that? Part of the reason is that some of the facts claimed by Pitbull lovers are wrong. Pitbulls do not have locking jaws: This one is easy to argue because any person with a veterinary medical background will tell you that Pitbulls do not have locking jaws, despite the false reports on a number of anti-Pit bull websites. Their jaws are no different than any other breed of dog. Many of the dogs do, however, hold on tight when in the midst of a fight, and Pitbull fans sometimes do not acknowledge this. The media is biased against Pit bulls: If a small or medium sized dog not known for biting does attack a human, no one cares and it is not going to make the news. Attacks by small dogs do not usually cause serious injury and are unlikely to be reported. Pitbulls, however, always make the news. Thus, whether the anti-Pitbull lobby chooses to accept it or not, the media is biased. 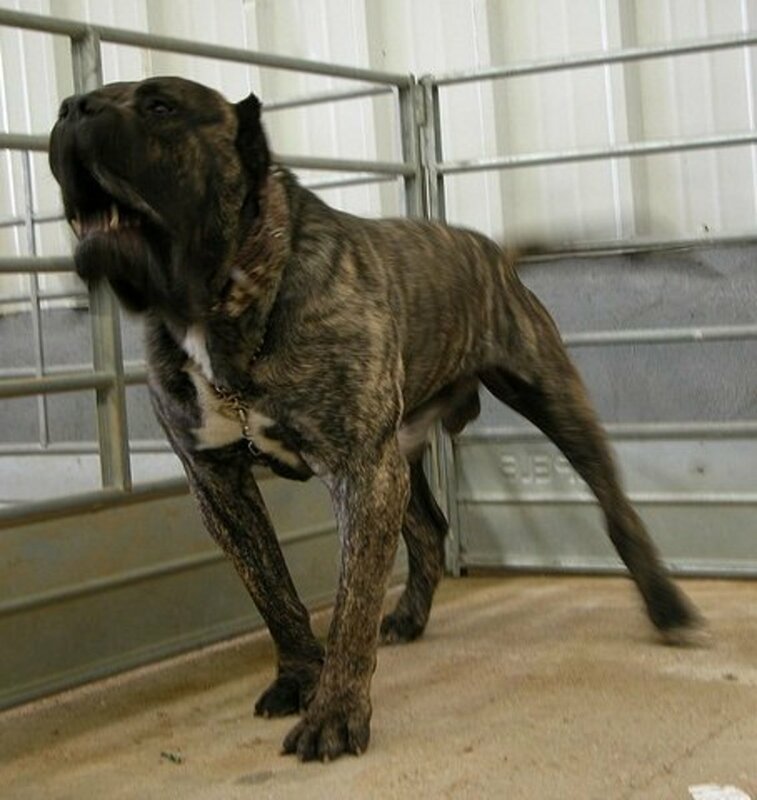 When an unidentified breed bites, it may be described as a “Pitbull type” by some writer trying to make the front page. It is the owner and not the breed: Although the Pitbull is a powerful and athletic dog, all of the serious attack cases I read about are caused by poor handling and could be avoided by following the steps listed in the second part of this article. Does this mean Pitbulls should be forbidden to all just because some owners do not know how to take care of them? Not in my opinion. It is the fault of the owner, not the breed. Punish the deed and not the breed: This is a commonly repeated phrase by all Pit bull supporters but it does ring true. 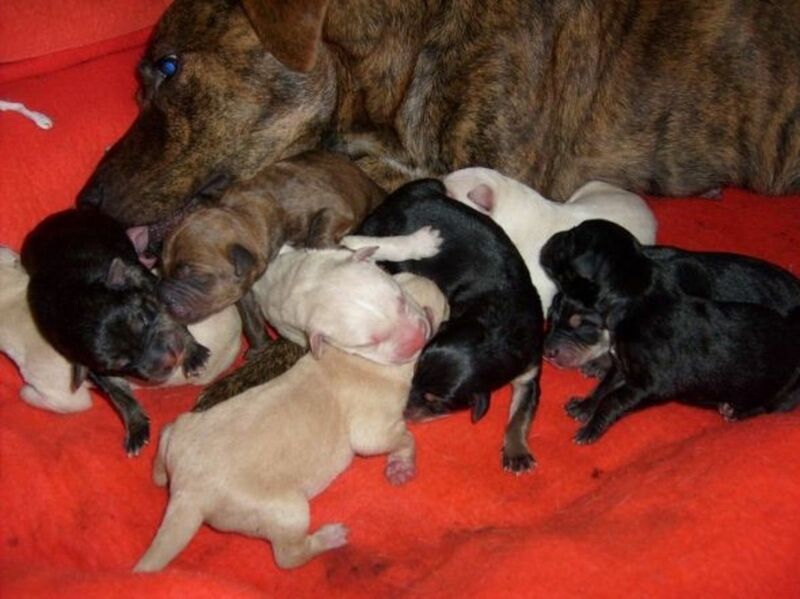 The anti-Pitbull crowd wants to forbid ownership of all Pitbulls since they think it will avoid the deed by eliminating the breed, but before the Pit bull was a common status symbol among gangstas and others, people bought Rottweilers, Dobermans, and before that even German Shepherd Dogs. All of them were accused of viciousness, just like the Pitbull is today. It is not the Pitbull that is at fault—the problem is with people that do not even deserve to care for a large dog. Pitbulls are not a vicious breed but there are a lot of myths out there that owners have to fight against. In order to crush some of these negative perceptions, every Pitbull owner has to make sure that his dog is always on his best behavior. So if your Pitbull has to face all of this racism from the very start, how do you make your dog as calm as possible so that he can never be accused of a violent act? Obedience train your dog as soon as you bring her home. This is obvious but almost all of the dogs that cause problems are untrained. If you do not know how to train your dog, learn now, and start as soon as you bring her home so that she responds to your hand signals and voice without hesitation. When I walk my dog I always put her in a “down-stay” when we approach anyone else on the beach. 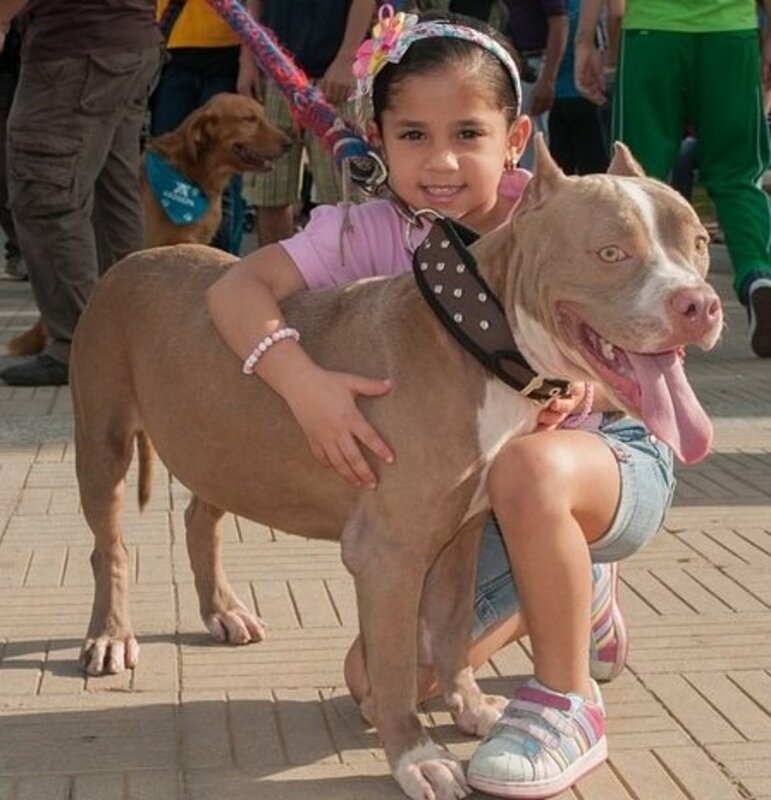 The people can see what a well-trained and obedient dog she is and thus she acts as an “ambassador” for other Pitbulls. Socialize your dog from an early age. There is a lot of disagreement on how early this should be done since young dogs are more susceptible to contagious disease before their last vaccines. Based on my personal experience, I think socialization needs to happen in the sensitive period before a dog is through with her vaccines. A well socialized Pitbull will enjoy human company. Whether or not you believe in alpha dogs and dominance theory, there are a few simple exercises you should always practice at home: Feeding your dog after making him sit, keeping your dog off of the couch, having your dog sleep in his own bed instead of your bed, and teaching your dog to wait for you're okay before going through a door. Even if your Pitbull this type of does not need this type of training, they will become a standard part of her life and make her a better behaved pet. Provide your dog with plenty of exercise. It is another cliché, but a tired dog really is a well behaved dog. Almost all of the stories I read about Pitbull attacks happen from people who leave their dogs in the house all of the time, keep their dogs chained up all day long, or do not know how to interact with a large athletic dog. If you want a Pitbull just so that you can keep him chained up in the yard and show off to the neighbors, you should not have a dog at all. Keep your dog well fed and in good health at all times. Yes, these things can effect his behavior. A dog that is starving is more likely to bite; a dog that is suffering from a painful illness will have a short temper and be more likely to snap when bothered by a family member or stranger. Keep your Pitbull in good shape, and if there is something wrong take him to your veterinarian for an examination. What is the most important way to make your Pitbull less aggressive? Train him to obey at all times. Make sure he is not the dominant one in the household. Keep him healthy and well fed. All of them are important and should be followed every day. The following suggestions will not make your Pitbull less aggressive but will make him a better canine citizen. Even if walking your dog off leash, carry a leash with you and put her on it when approaching children. Almost half of the victims of dog bites and fatal dog attacks are less than 13 years of age, and even if your dog is a good citizen many parents are ready to condemn her just because of the breed. Keeping your dog on a leash when a child is close is the best way to avoid any problems. If you are walking your dog off leash and see another dog or small animal, attach the leash immediately. Not all Pitbulls are aggressive to small dogs, but if the small dog is aggressive and attacks your Pitbull, your dog is going to be blamed for any damage even if he is only defending himself. If you have the opportunity to participate in a therapy dog program, do so. Pitbulls are great dogs and every person that meets a dog in therapy will remember the experience. All Pitbull owners know that these dogs have a terrible reputation and face extreme prejudice. Do not make things worse. 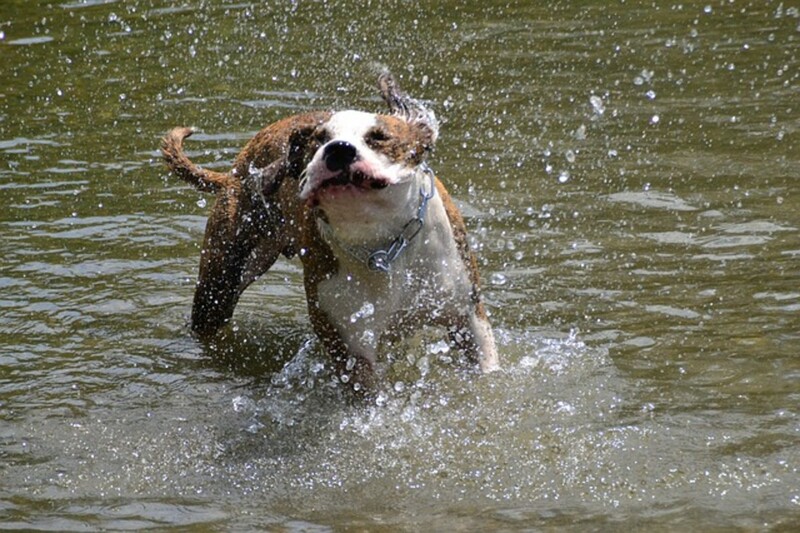 Follow these steps to make sure that your dog is not aggressive. My 14-month-old pit bull has attacked a puppy at obedience training. According to your list, I have been doing everything right. She seems to have an extremely high prey drive. How can I train my pit bull to be less aggressive? The thing you should do now is realize the potential problem and prevent any dogs from being hurt. Keep her on a leash when walking. Make sure that she cannot jump out of your backyard. You should continue to socialize her with other dogs, but sometimes it is just the one other dog they put up with, not a strange animal. My 5 month pitbull was a nice pup bit now that he is growing he starts to bite everyone; when you touch him he stays still but once ypu let him go he starts biting again. Everytime I put him in a leash to go walk he starts biting it too. What can I do ? Have you taken your dog for obedience classes? This is a good first step. It does not sound like you have a mean puppy, just a very rambunctious dog that needs to learn boundaries. If you have not started obedeince training with an experienced group, start immediately. If you have, and are still having this problem despite training, socialization, and the other things suggested in this article, you need to consult an animal behaviorist. If you do not know who is available in your area talk to your regular vet and get a referral. My 11-month-old female pit bull attacked my 15-year-old male dog last night. She was acting weirdly overprotective of some new toys I bought them to the point she was growling at me when I sat close or looked in her direction. I've had her since she was one month old. All the 15-year-old dog did was pass by the sofa she was laying on to get into the room. I also have a 5-year-old daughter and a cat. What should I do? It sounds like your dog was resource guarding, not being aggressive to the other dog. You can read more about this subject, but the most important thing in controlling your dog is having her obedience trained so that she will obey you. If she does not respond to your commands every single time, get further training. If she does, you may need to consult a behaviorist about this problem. Talk to your local vet about getting a referral closest to where you live. My six-month-old male pit bull was obedient when he was small but now has become aggressive. He likes to socialize with people and shows his love by licking us, but then he starts biting on the face and tries to pull my hair. When I tell him "NO," he starts barking at me. What should I do ? A six-month-old puppy is not becoming aggressive yet. He is probably afraid. After all, he is playing with his favorite person in the world when all of a sudden the person stops yelling at him! Limit his opportunities to become excited. Do you get down on the floor with him before this happens? When he starts licking, even before he starts play biting, tell him to sit, tell him down, have him roll over on his back and then rub his belly. Let him chill out. He sounds like a great puppy. Do not condemn him for something he has not even done. Just handle him with kid gloves: stay calm, keep your voice down, and give him a command he can follow. If you have not started obedience training yet get on it right away. He should understand "sit" and "down." Almost no dogs will bark at their owner when they are told to lie down. 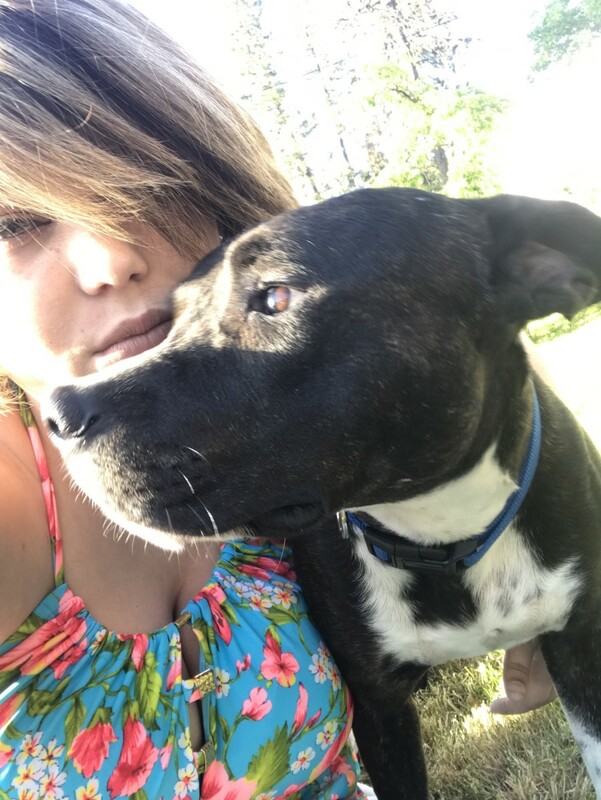 My five year old Pitbull is a sweetheart to humans and my other dog, but with other animals she goes crazy and tries to kill them. She has killed many toads, cats, possums and owls. I don't know what to do? Your dog has a very high prey drive. You are fortunate that she is okay with your other dog, because a dog with a high prey drive that is not good with other dogs can be a real nightmare. There are a few things you can do to make her more manageable. The first is to stop playing any game that makes her interested in prey. A flirt pole (a ball on the end of a fishing pole type stick), tug of war, and sometimes even catch can make this problem worse. The other thing that high prey drive dogs need is an activity. Teachig her obedience is very important. She should respond immediately to sit, down, stay and other basic commands. Use the time that you play with her now to work on her obedience. Sometimes almost nothing works. Dogs with high prey drive (like greyhounds and Afghan hounds) are sometimes impossible to have around other animals. Cats are usually in danger if they run, which most of them will. I adopted a six-month-old Pitt from my local shelter. Will I still be able to socialize her safely with other dogs and humans? Also, can training her now still be as effective as it would've been when she was just a few weeks old? Training will be just as effective, but dogs have a window of socialization (sensitive socialization period) that closes about four months of age. Your dog can still be socialized, and should be even more than a young dog, but it is going to be a lot more work. Get your dog started in obedience classes right away. The socialization with other dogs at well-run classes will be a big help. My two-month-old Pitbull bull terrier started biting; is there still enough time to stop him from biting me? How do I do it? Two-months-old is still very young and you have plenty of time, although you should get started right away. 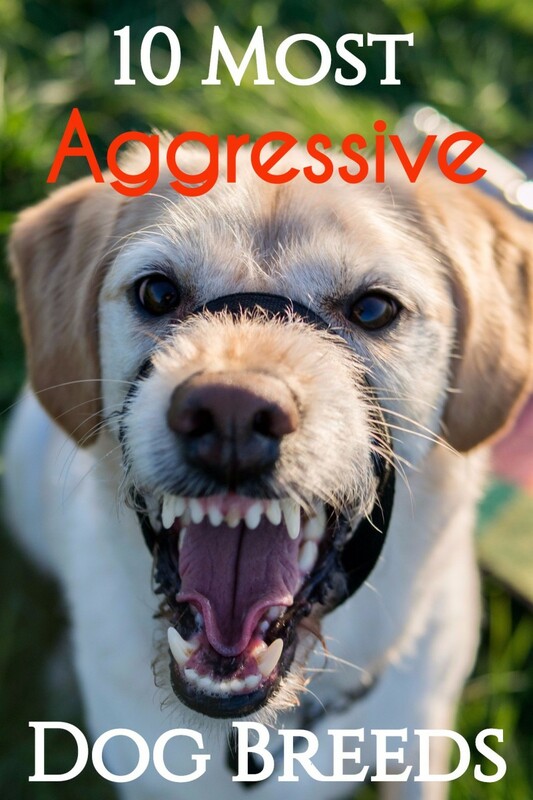 Your puppy is not being aggressive, just mouthy. Please follow the instructions in the article. Start taking your puppy for obedience training. Socialize your puppy correctly. Make sure that your puppy is in good health. You can have a great time with your new dog. Do it right now, from the start, and you will both have a better life. My female pitbull is over two years old and has been with us since she was a small puppy; we found her abandoned on the side of the road. Recently she has been attacking us for doing things we have always done with her. How can we stop this behavior? What is triggering her aggression to you? Is she aggressive when you try to take a toy away, when you are messing with her food, etc.? To curb her behavior, it is vital to know what is causing it. Dogs are not aggressive for no reason. As far as what you can do, without more information, all I can suggest are the things already outlined in the article. She needs obedience training. If she is getting aggressive during play time, give her a down/stay command. If she is aggressive during your meal times, have her lie down and stay in one position while you eat. This is impulse control. The other thing that you want to emphasize is adequate exercise. She is still a young dog, and if she is not going for a walk a few times a day, she has to use that energy somewhere. You need to figure out what is causing her behavioral changes, but sometimes an improved exercise regimen is all that a dog will need. I don’t want my pitbull to grow up to be mean. We just recently got her. Is it bad that she is biting me as a baby? Why does my dog go crazy around other dogs? The tips in this article are mainly focused on making your pitbull less aggressive around you; if you need to find out how to help your dog become less aggressive around other dogs read https://pethelpful.com/dogs/dog-to-dog-aggression Send me another question if you need more help. I just adopted a 2-month-old aggressive pitbull puppy. She growls and bites. I don't know how I can make her stop doing it before she becomes older. What can I do? A two-month-old puppy is testing her environment and being playful; she is not too aggressive. If she were still with her littermates and mom, they would teach her not to bite by doing what you have already tried (yelling ouch!) and also by stopping all play when the biting stops. You should provide her with an alternative to mouth on, then leave the room and stop interacting with her at all. She is going to figure out quickly that when she plays too rough and uses her teeth that you will not play with her anymore. Work on this now, because as you know, it is going to become a problem if you do not spend time teaching her bite inhibition now. Why does my pitbull not like kids except those she was raised around? Not all dogs like kids. They move differently than adults, sound differently, and your dog may have had a bad experience with a neighbor kid that you do not even know about. All you can try to do is socialize your dog more, but there is always the danger that your dog will get fed up and bite the kids that you are trying to socialize her with. I habe two pits one is eight and the other a year. The eight year old pit is so laid back sleeps with his kids backs down to aggressive dogs. The one year old pit was great also very smart. Then one day he was attacked by another pit in his one yard. He is fine except when people walk by hair stands up and same for other dogs. So not ever pit is the same....and its not always how they are raised cause we are trying to do positive reinforce meant but have yet seen a change. Affraid he may be ruined for ever by this event. You r insane. These dogs r crazy. There are so many nice family breeds out there. Why risk your kids or other pets with a Pit Bull?!!!!!! Neighbors have 1 that us only 10 weeks old and already lunges agressively to bite your face!!!! She does this to everyone!!!!!! As far as the other behavior you describe, it sounds like the dog needs to attend obedience training. You need to call someone locally and if you are in the US try to get into an AKC good canine citizen program. Best of luck. Steph, the size difference is really important and probably the only reason the red nose has not been able to hurt the male. He will probably always be wary around her, but I am including a link to give you some ideas on how you might help them get along. So I have a 3yr old red nose female which I had since she was 3 weeks and a male blue nose which is 5 and I also had for 3 years. My female has gotten very jealous only when I am around she already has attacked my male several times. Mind you my female is 65lbs and my blue is 90lbs. Luckily we were able to break it fast and noone or pet got hurt. What can I do?? Like I said it's only when I am around. If my male wants my attention she intervenes. I brought a muzzle but only put it on after the fact. They get along ok but my male has his guard up now and kinda stays out of her way. Christina, I do not have an easy answer for your problem. Your dog probably reacts very rapidly, so the best thing to do is avoidance. You already know what one trigger is (wrestling with your kids) but if there are others you need to figure them out. When you want to play around with your kids, you will need to put your dog in a down/stay, and if he disobeys and gets up anyway put him in a separate room when you want to wrestle with the kids. I realize this is not always going to be easy, but it is the best solution for his behavior. If he does not already have obedience training, and does not respond to the down and stay commands, you need to get started on that today. I have a 10 month old pitbull, he is very protective of me and my kids but has bitten my kids to protect me when we are goofying around. He does not do well with people he does not know. He has been getting more and more aggressive lately and I did get him nuetured when he was 6 months old. I honestly don't know what to do anymore with him. I am very lost. Andrea, it just sounds like you need to socialize her in different situations. The more you take her out and allow her to meet people the better. If she jumps up just being friendly, teach her that is not okay by using gentle techniques. Nayla sounds great. Here are some more tips on teaching a dog to be polite that might help. My pitbull Nayla is 2 years old and is only around my husband and I most of the time. She is not one of the dogs that sit nicely at the pet store or when she is at the vet. She jumps on people and always wants to play. How can we get her to be more social at this age? My baby pitbull is 6 months old he just started to get aggressive tawards one of my other dog that is a rottweiler I don't know what to do because the second rottweiler I have he gets along with very well. Before the puppy attacks the older rottweiler he crouches to the ground and then attackes. He has been with both of these dogs since he was four weeks old and I have taken him out everywhere I go even when I camp I bring my dogs. Jada, without seeing her all I can recommend is in this article: more obedience training, etc. Chasing bikes and skate boarders is pretty normal behavior, so you just have to down/stay her when someone is getting close, before a problem happens. I have a 7 month old Pitbull she’s very good with family and most of my friends. She gets very aggressive to new people and sometimes when people are walking, ridding bike and skate bored. I don’t wanna give up on her but don’t know what to do I need of help!? i have a pitbull annd he is 48 days old bt he is too agressive use to bite and also dont obey anyone..please suggest me whot should i do wid him?? That statement about Rio is not clear but I forgot to edit it and now it is too late. The population is 85 males for 100 females--since more males are born than females the effect of violence in that city is great. Those men do NOT die from Pitbulls, and yet the city council feels the need to enact BSL!!!!! Thanks for that comment, Bob. The way people look at Rizzo and Obie kind of sums it up, doesn't it? Pitbulls seem to be condemned even when some other dogs are more aggressive. BSL, unfortunately, is still making its way around the world. The latest I heard of is Ecuador, and in Rio de Janeiro, where guys are murdered so often that there are only 85% males, it is illegal to walk around with your Pitbull! The Pitbull ambassador sends her thanks too. Interesting article, Doc. I spend 5 hours a day, 6 days a week in pet supply stores in MA and RI, all of which allow/encourage customers to bring their leashed dogs in with them. My company makes treats and, with the owners' permission, I offer some to their dogs. Many dogs take treats aggressively, but I haven't noticed it more in any specific breeds. I still have all 10 fingers and they're all still full length. Pit bulls are very popular around here, so I see a lot of them in the course of a week, and it's not common to see pit aggression towards people or other dogs. Surprisingly enough, when a dog "starts something" in these situations, it's most often small dogs. I talk with a lot of folks with more than one dog, often a big dog and a small dog, and they say the small dog rules the roost. I realize there might be some exaggeration going on there, because stories are often related in amused tones, making me think there's some embellishment happening. 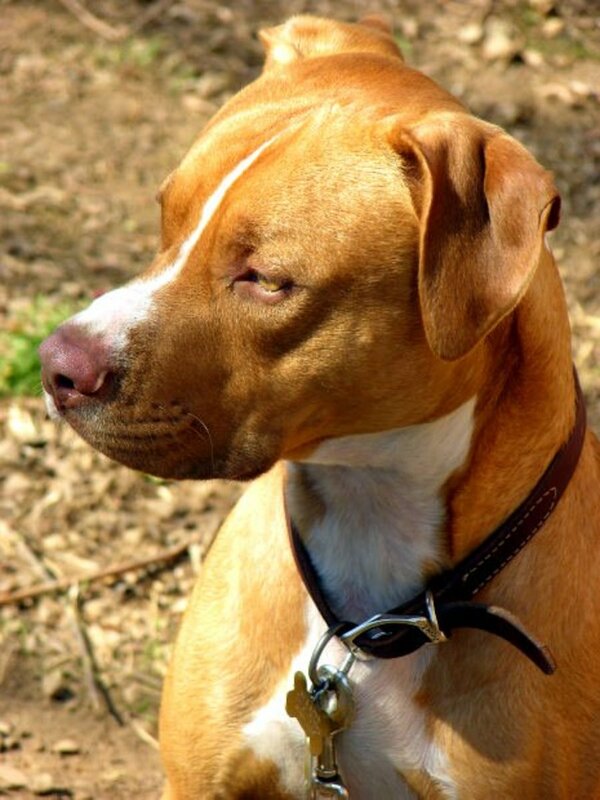 I wrote a hub on Breed Specific Legislation (BSL) a couple of years ago and, at that time, 13 states had enacted legislation that prohibited cities and towns from adopting BSL. That's the way things are moving here in the colonies. It used to be just shelter workers and pit owners who were testifying at public hearings on BSL, and they lacked credibility in the minds of most legislators. But then professionals...veterinarians, behaviorists, trainers...even the American Bar Association...started testifying in support of pits and against BSL. Politicians have started paying attention and the tide is turning. That said, there's a city in RI that is in court right now trying to get around the state's ban on BSL, so the fight isn't over. It certainly helps that "credible witnesses" such as you are speaking out in defense of the pit. My next door neighbor recently got a pit, named Rizzo, who has issues, so they're working with a trainer because some of the others in the complex are complaining. When Rizzo saw me for the first time she sort of stared me down, so the owner thought it best if we say hello from a distance. Since then, I've been able to feed Rizzo a treat, which she takes gently. Another neighbor has a labradoodle, Obie, which barks and lunges at people who approach, but nothing has been said about that, as far as I'm aware. Pits do have an intimidating countenance. That, plus their ill-deserved reputation puts two strikes clearly against them. They need all the credible PR people they can get. That said, Ajej breaks the mould. She's a cover-girl beauty whose manners should be an example for all to see. Voted up, useful and interesting. Hi Solaras thanks for those comments! My Gmail was not sending me any new emails so I was starting to think no one even bothered to look at this article. Thanks Jackie. I think your comment may be one of the best reasons for someone with a new Pitbull puppy to follow these recommendations. Just providing a dog with love is not enough. Did she obedience train the dog, did she set up an alpha relationship so that the dog respected her authority? No dog attacks without warning, but she may have been ignoring them since she had known the dog since she was a little girl. Being best buddies is not enough!!! 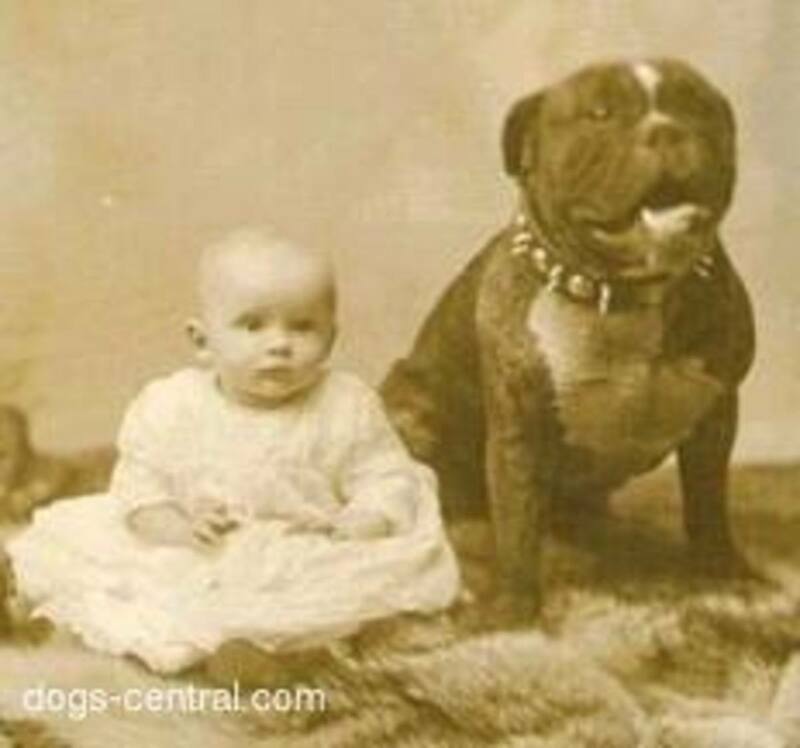 I hate to be the old lady with an iron will but when I hear pit bull I just think of a little girl who got one when she was born and best buddies with it and when she was five it turned on her for no reason according to the parents and just about ate her face off before they could stop it. Now I wonder what that lady who lost her face at five would have to say about them? I see a lot of them at the pet stores in our area, some are very well-behaved, others... They have been using them down at the prison here for dog/human rehabilitation. Prisoners are matched with a dog, and they train them to be good canine citizens; both learn new skills and bonding. Pretty cool I thought.